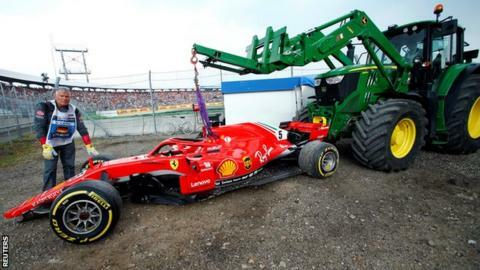 Ferrari’s Sebastian Vettel says he is his own “biggest enemy” in his title fight with Lewis Hamilton this year. Vettel, who is 30 points behind the Mercedes driver heading into this weekend’s Singapore Grand Prix, has made a number of errors this season. 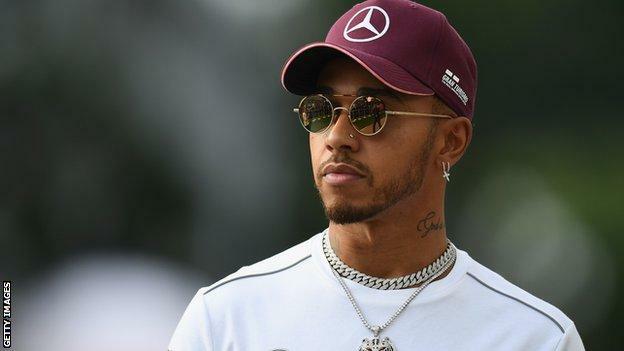 Hamilton added that he believed maintaining his advantage over the German was “going to be very tough”. Who will win in the Singapore Sauna? Vettel was asked whether he could now not afford to lose any more points, following high-profile errors in the Azerbaijan, French, German and Italian Grands Prix that cost him more than 60 points in total. “It is pretty straightforward,” he replied. “He is ahead at the moment so he is the one to beat. But we have all the chances and how much they could be better by now is a different question. Vettel said his “worst” error had been when he crashed out of the lead in a late-race rain shower in Germany, which Hamilton went on to win. “Most important is I know what happened and can explain it,” he said. “Then everyone is free to have their views. Vettel added he was optimistic of a strong weekend on the demanding Marina Bay street circuit in Singapore, which has traditionally been something of a bogey circuit for Mercedes. But Hamilton said he had “hope” that would not prove to be the case this weekend: “I can hope. That is probably the most powerful thing us as humans hold. “It is going to be very tough these next races, still a lot of points available, Ferrari have had the upper hand performance-wise but as a team we have out-performed them. “I am hopeful we can do it more but we come here, it is a downforce circuit and Ferrari should have the upper hand. But a lot of work has been going on at the factory and maybe we will be closer than in past years. ← Previous Story Still in F1? What are the main players of 'crashgate' doing 10 years on?